Lots of new cool decorations this year. The flag bunting on the ride fences looked nice. Some more in the lower portion of the land. Some of the classic decorations from Camp Spooky made an appearance this year. 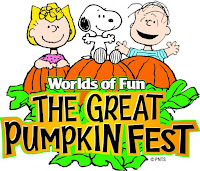 The big attraction this year for The Great Pumpkin Fest is Linus' Pumpkin Patch. Let's take a look at some more of the decorations in the area. They really went to a new level with decorations this year. Finally, there are numerous Trick-or-Treat booths around the area where kids can get goodies for free. 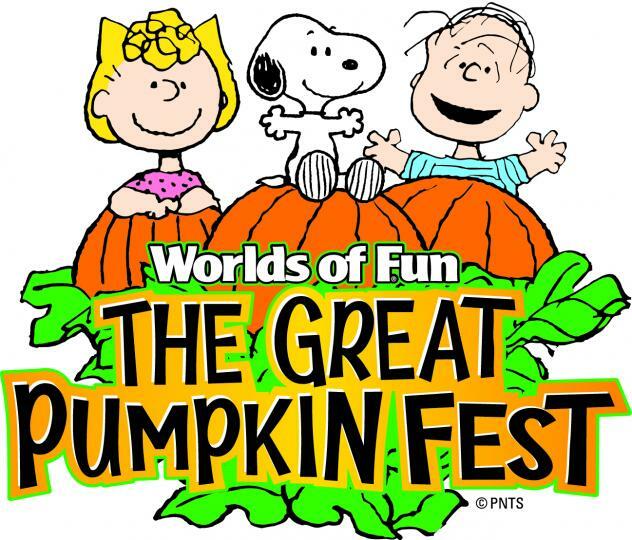 Also, as you can see Linus here, the Peanuts characters are all dressed up in costumes for the event.